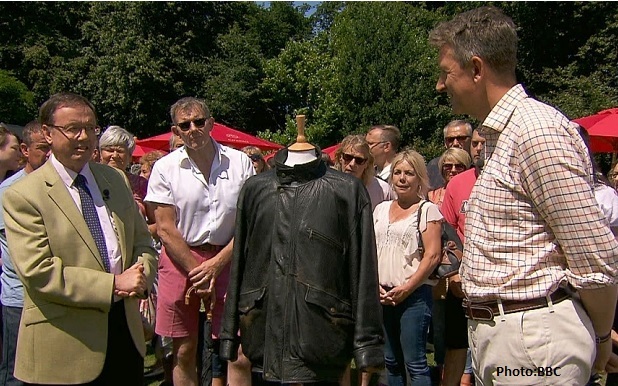 A leather jacket that belonged to former US president John F Kennedy will feature on the BBC’s Antiques Roadshow on November 22nd and has been valued at a six-figure sum by an expert. The jacket was unearthed by the chaplain of King’s School, Canterbury, Canon Carl Arvidsson, who told the BBC programme it was handed down to him by his father who had a friend with family connections to glamorous Swedish socialite Gunilla von Post. Kennedy and von Post began a love affair after meeting on the Cote d’Azur in 1953, when the future President was a 36-year old Massachussets senator and she was just 21. He continued, “She had three children and a nephew. The nephew was given some of the items and his best friend is my father.” The jacket was given to Reverend Arvidsson by his father. Jon Baddeley, the managing director of Bonhams, who serves as an expert on the BBC show, valued the jacket at in excess of £100,000, describing it as “an iconic piece”. The dark-coloured garment is in good condition with deep pockets and a high collar.